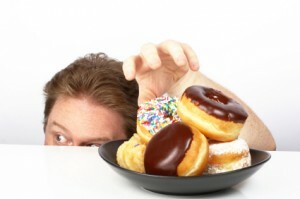 Sugar is one of the silent addictions most people have to deal with. It is also one of the most common stumbling blocks when transitioning to Paleo diet. It is so prevalent that it has become a widely accepted fact and is now sadly considered as normal. Sugar is all around us. It is even present in some foods that appear safe and healthy, making it very difficult to avoid. There is also the fact that sugar these days is silhouetted under different names, among the common ones include brown sugar, corn syrup, fructose corn syrup and glucose. It can be difficult to choose water when you are offered a can of ice cold soda, right? Not that soda is included in the Paleo diet! When you are fully aware of the adverse health implications of sugar addiction, you will realize that it is certainly not a laughing matter. Claiming that you have a sweet tooth is certainly not cute. Over consumption of sugar has been associated with many health problems on top of diabetes. Among the common ones include tooth decay, anxiety attacks, weight gain, and depression and yes, even cancer. According to the report published by the Institute for Integrative Nutrition, Americans in general are chronically dehydrated. Whenever you feel a start of sugar craving, try to drink a long glass of water instead. Most of the time, sugar craving is actually triggered by the body’s way of telling you it’s dehydrated. Are you thinking of finishing up a particularly filling meal with a can of soda? Reach for water instead. You will find that more often than not, the urge to order that can of soda is washed down by that refreshing gulp of water. If you are craving for something sweet, instead of cake, try choosing healthier options such as fruits or sweet vegetables like carrots. Or you can also choose dark chocolates instead of the usual varieties. As you try to wrestle sugar addiction out of your system, make sure to make healthier alternatives readily available so it will be easier to make the right and smarter choice. 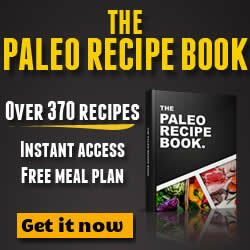 There are a number of Paleo diet recipes online that use natural sweeteners. One of the best and most effective distractions to curb sugar cravings is movement. If you will notice, your body craves most sugar when you are feeling lethargic like when you are just lounging in your living room watching TV or surfing the Internet. Try incorporating activities to your daily routine or better yet put some energy into good use by doing some household chores such as vacuuming the carpet or doing the dishes. You can also find an activity, preferably outdoors that you enjoy. Transitioning to Paleo diet can be very challenging. Hopefully, these Paleo diet tips will make it easier for you to make that healthy shift. Some good advice. I had a hard time giving up diet soda. I would drink about 2 liters a day at one point. Good to know you found the article helpful. I guess this is one addiction many of us continue to face today and it is the root cause of obesity.